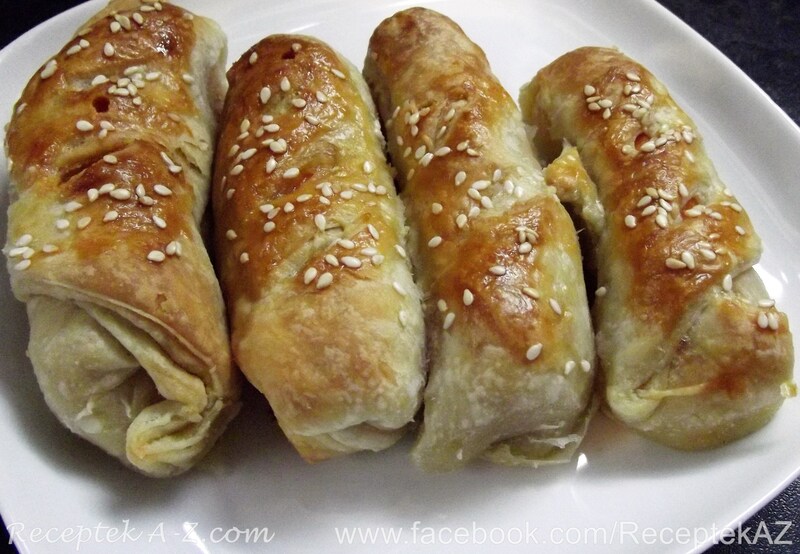 Mix the all the ingredients to and prepare the dough well and divide the dough into 8 equal pieces. We are rolling each piece into a circle and divide the circle into 4 parts. For each part we sprinkle grated cheese and halved lay out sausages. Curls and then top with the beaten egg. 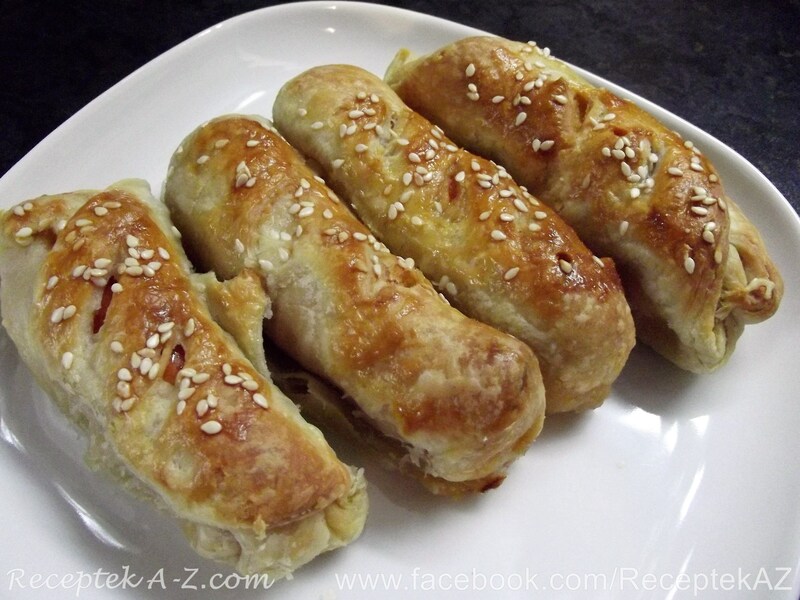 Sprinkle with sesame seeds and bake in hot oven at 180 ° C for about 15-20 minutes until golden. Serve warm.